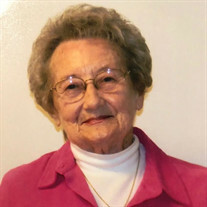 Edith Rose Hannifin Jarnagin, 90, of Rutledge, departed this life and entered heaven on February 1, 2019. She was born October 17, 1928, to John and Lucille Hannifin in Knoxville. Edith graduated St. Cecilia Academy in Nashville. She was a faithful member of St. Paul II Mission in Rutledge. Edith loved the Lord and loved serving others. She was married to Paul Jarnagin Sr and worked many years as the bookkeeper at Jarnagin Motor Company. Edith will be remembered as a devoted wife, mother, and Mamaw who prayed for and loved her family dearly. She was preceded in death by parents, husband, brothers and sisters. She is survived by sons Paul Jr, John, Phil (Merry) and daughter Julie (Randy)Burnett; brother Joe (Dorcas) Hannifin; daughter-in-law Rita Jarnagin; grandchildren John H. Jarnagin, Jenny (Andy) Wells, Andy Jarnagin, Leanne (Alex) Widmer, Rachel Jarnagin, Daniel (Alana) Burnett, Drew Jarnagin; great-grandchildren Gracie Jarnagin, Brody Wells, Grant Jarnagin, Molly Wells, Emerson Wells, Clara Widmer, and Hazel Widmer. Rosary will be said at 1:00 pm on Monday, February 4, 2019, at Blessed John Paul II Catholic Mission in Rutledge. The family will receive friends from 2:00 to 3:30 pm on Monday, at Smith-Reagan Funeral Home with Mass to follow. Father Steve Pawelk is officiating the services. Interment will follow at Grainger Memorial Gardens. 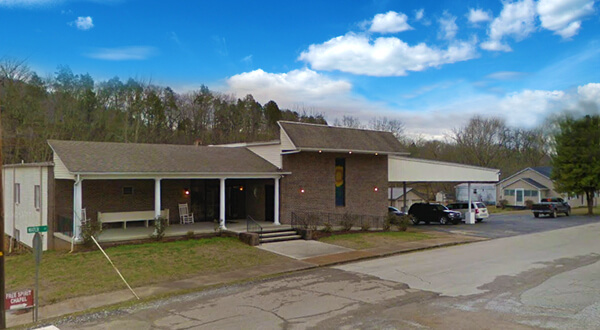 In lieu of flowers, donations may be given to St. John Paul II Mission Building Fund, 7735 Rutledge Pike, Rutledge, TN. 37861.